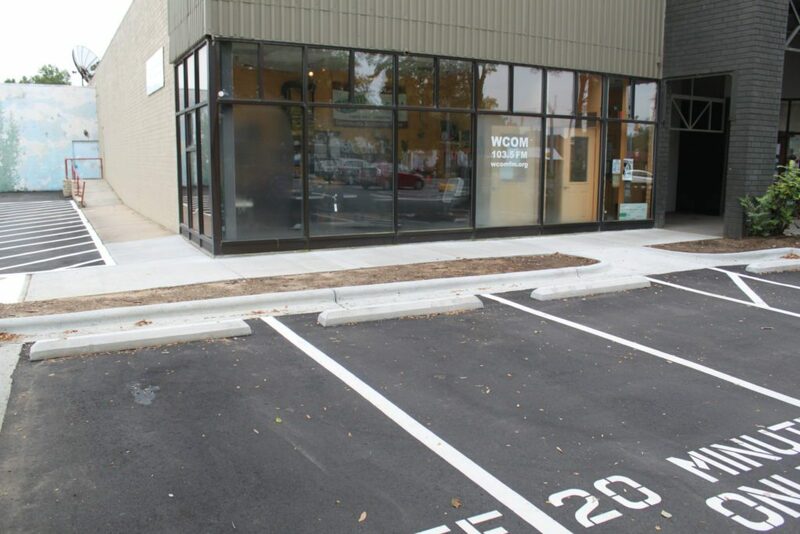 Wheel Stops & Speed Reduction Bumpers - Paving Professionals, Inc.
Our company also provides and installs wheel stop and speed reduction bumpers as part of our services. Our wheel stops are reinforced with two #4 rebars inside for added strength. They are made with two 3/4″ holes so they may be pinned and secured. We will deliver and install these concrete wheel stops, pin them in, and remove your old ones. If required, we can add concrete sealers to the wheel stops for additional protection and deterioration prevention. Some wheel stops include water relief slots and some are flat on bottom allowing water to move freely to the drainage area. 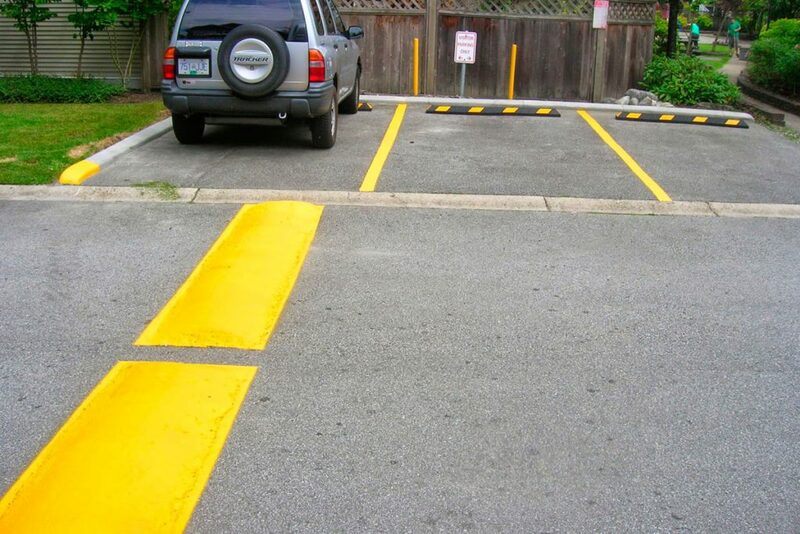 Speed bumps and humps help control vehicle speed in a parking lot, improving safety and communicating with drivers to keep their speed to a minimum. Speed bumps are a cost-effective solution to reinforce traffic signs, reduce the risk of accidents, and improve pedestrian safety, yet gentle enough to allow emergency vehicles to drive through without needing to slow down.